5 Connections B-cells can connect to antigens right on the surface of the invading virus or bacteria. T-cells can only connect to virus antigens on the outside of infected cells. 10 Function В-cells form humoral or antibody-mediated immune system (AMI). T-cells form cell-mediated immune system (CMI). 12 Formation They form plasma cells and memory cells. They form killer, helper and suppressor cells. 13 Movement to Infection Site Plasma cells do not move to the site of infection. Lymphoblasts move to the site of infection. 14 Function Plasma cells do not react against transplants and cancer cells. Killer cells react against transplants and cancer cells. 15 Function Plasma cells have no inhibitory effect on immune system. Suppressor cells inhibit immune system. 16 Function They defend against viruses and bacteria that enter the blood and lymph. They defend against pathogens including protists and fungi that enter the cells. Good work.But i got a small rectification on ORIGIN,both B and T lymphocytes originate from bonemarrow[red] but they mature in different organs:bonemarrow and thymus respectively. Thank you. I work in the field of bleeding disorders. As an Hemophilia and Thrombophilia Treatment Center social worker, I constantly look for educational materials for my patients and their families. There is a mistake.. B cells are not formed in bone marrow, but in bursts (meaning pouches) eg. in appendix.. In the healthy male and female subjects, the mean concentration of Energy of cells, meaured in adenozine-triphosphat, ATP in 1 x 106 lymphocytes /ml of normal peripheral blood T lymphocytes, was 1.39 µM ATP and in B lymphocytes the concentration was 0.35 µM ATP/ml [SD = 0.41, p= 0.030]. From patients with malignant diseases, the concentration of ATP in 1 x 106 activated peripheral blood T lymphocytes/ml had a mean value of 3.06 µM ATP and the mean concentration of ATP in activated B lymphocytes/ml was 0.17 µM ATP [SD= 0.45, p = 0.05]. The mean concentration of ATP in 1 x 106 activated peripheral blood malignant CLL B lymphocytes/ml was 4.33 µM ATP but was only 0.09 µM ATP [SD= 1.5, p < 0.05] in T lymphocytes from these patients. A strong correlation was observed between the concentration of ATP of T lymphocytes from patients withmalignant diseases and ATP concentration of B lymphocytes from samples of patients with CLL (r= 0.99) and a good correlation was observed between T lymphocytes (Th) from allergic diseases and T lymphocytes (Ts) from malignant diseases (r = 0.94). The difference of energy between anaerobic ATP in B lymphocytes from CLL and aerobic ATP in T lymphocytes from healthy subjects havebeen calculated in value of 2.68 µM ATP, suggests the process of carcinogenesis, in malignant diseases. 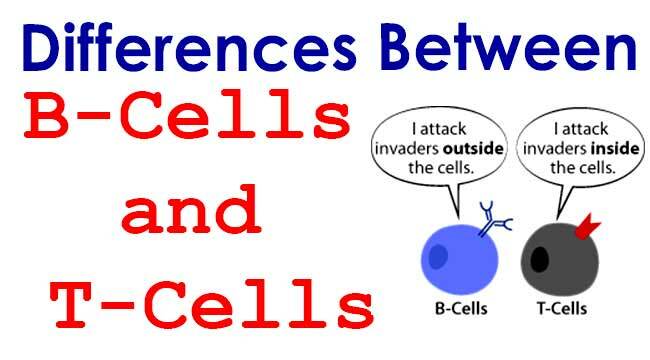 hierarchy：B-cells are soldiers where T-cells include generals, commanders, officers and even military police.